Sometimes when you meet a person, you can tell right away you are talking to someone larger than life. That’s the vibe you get from Sergeant First Class Herbert Burnett, U.S. Army (retired). He knows where he’s going and how to get there. Here’s his story. Herbert is a native of Urbana, Illinois. He enlisted in the Army on March 26, 1986, to get away from the streets. His MOS (Military Occupational Specialty) was Medical Logistics, making him responsible for ordering, receiving, storing and issuing medical supplies. He practiced his skills in the Middle East twice – once in Saudi Arabia in 1992 after Operation Desert Storm, and later during the Iraq War in 2004. 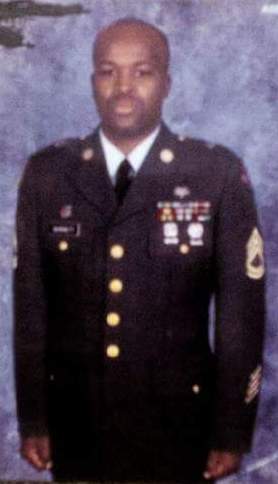 Herbert deployed to Dharan, Saudi Arabia, in 1992, when he was a sergeant (E-5), although he was promoted to Sergeant First Class (E-6) shortly thereafter. 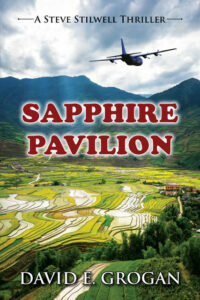 His unit, the 21st Evac Hospital, was already there – he plugged into it once he arrived. He remembers the date he deployed with great clarity – 28 August 1992. That’s because his daughter was born two days after he left, on 30 August 1992. He didn’t get to see her until he returned from Saudi Arabia in December. Herbert stayed at Khobar Towers, near the King Abdulaziz Air Base. This was the same Khobar Towers that was destroyed by a terrorist bomb in 1996. By that time, Herbert had long since moved on to his next assignment. After Herbert returned from Saudi Arabia, he was assigned to recruiting duty in Indianapolis, where he excelled. In fact, he was the Indianapolis Recruiting Battalion’s top recruiter in 1994 out of approximately 200 recruiters. This achievement earned him 3 years of follow-on recruiting duty in Champaign, Illinois, which is the sister city of his hometown, Urbana. But it was Herbert’s deployment to Iraq that proved to be the defining event of his long and successful Army career. The Iraq War began in March 2003. Herbert’s unit, the 31st Combat Support Hospital out of Fort Bliss, Texas, deployed to Baghdad in January 2004. Herbert joined his unit in Iraq in April 2004. When he arrived, the unit – which operated a 296-bed hospital – was having serious medical logistics problems. No one was tracking orders, there was no good account of what supplies were on hand, and many supplies were left outside to bake in the hot Iraqi sun. As a senior noncommissioned officer (NCO), Herbert set out to assess within 72 hours what was working and what was not, and what needed to be fixed right away. 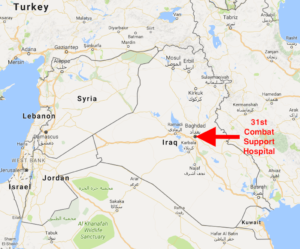 Working closely with a Lieutenant Colonel from his unit, Herbert developed a plan of attack to get the unit’s medical logistics operations squared away. Working sunup to sundown, he implemented the systems necessary to bring the logistics situation under control. The turning point for Herbert’s soldiers occurred in June of 2004. Herbert started getting complaints from NCOs in the operating rooms and the emergency room (ER). They were asking for things and Herbert’s soldiers weren’t being responsive. Herbert contacted his counterpart in the ER and asked him to let Herbert know the moment he got word of any mass casualty situation. He didn’t have to wait long – the next day some seriously injured people were brought into the ER, including a female soldier who had a portion of her leg blown off and a deep cut in her thigh. Herbert mustered all of his soldiers, had them scrub up, and made every one of them observe the casualties so they could see that their fellow soldiers’ lives depended upon their actions. Herbert said that for the first time, his soldiers understood how important their jobs were. They had a “paradigm shift,” and were a different unit from that day forward. They excelled at what they did and were recognized for their performance and dedication to duty. Over the course of his one-year tour in Iraq, Herbert was assigned four soldiers who had gotten into trouble in their units. Their units had given up on them, so they were assigned to Herbert to see if he could turn them around. One was a soldier who had gone AWOL and was close to being separated from the Army. Herbert worked with all four soldiers, devoting the necessary time and effort to help them succeed. He also gave them confidence by making sure they knew they were valuable members of his team. Herbert was particularly proud that all four of these soldiers completed their tours in Iraq and received awards for their performance – something unheard of for soldiers who had gotten into trouble. Even more impressive, the soldier who had gone AWOL turned out to be one of the best soldiers in Herbert’s unit, despite not having any prior medical logistics experience. Herbert proved that soldiers will follow leaders who lead them to success. Herbert also served as a convoy commander, making dozens of runs between the Green Zone and Baghdad International Airport. This was particularly dangerous in 2004 because the Humvees they drove didn’t have the heavier protective armor that arrived later in the war. On one occasion, Herbert gave his convoy team some time to visit the Post Exchange. He told everyone to return to the vehicles by 4:45 p.m. because they needed to be back before nightfall. One member ran back to the Exchange to get a fifty-cent candy bar and was late getting back. As a result, the convoy didn’t depart until 5:10 p.m., and it was dark by 5:30 p.m. The convoy took and returned fire on the way home, all because of a candy bar. Herbert has used this story ever since to convey to his soldiers, and now the youth he works with, that the details matter. Herbert’s tour in Iraq was the crowning achievement of his career – he excelled during wartime and led his 49-person team to successfully complete its mission. If you ask him, he will admit he was a little scared to go to Iraq in that he didn’t want to be killed so close to retirement. He prayed for protection and knew before he left that God would keep him safe. That promise was honored more than once, but most vividly on the night after Herbert moved from his quarters at the hospital to new quarters in another building. A mortar hit the hospital, spraying broken glass and debris over the bed he’d slept in for months until that very day. Herbert knows he was spared because he still has things to accomplish with his life. Now that he’s a civilian again and the owner of a successful clothing store, Suits by Soouljah, Herbert’s transformed his passion for helping troubled soldiers into helping keep youth from getting into trouble. He’s been an Assistant Basketball Coach at Urbana High School for the past 4 years (and coached a total of 10 years at the high school level), and founded a non-profit organization, “Not On My Watch”, where he stands up for youth and gives them the confidence and the love they need to succeed – just like he used to do for his soldiers. He knows he has to start working with kids while they are young, before they make bad choices. He’s currently working with 40 youth in the community, serving as a stellar role model and giving them a positive message. There are two more things you need to know about Herbert. First, his military career came with significant personal sacrifice. His time away from home cost him his marriage of 24 years, and his relationship with his son because he was not there when his son needed him most. Herbert’s pain is real – it’s a pain many military families endure. Few families weather a military career without storms. Second, what Herbert wants you to take away from his interview is that military service changes you, especially wartime service. You won’t ever be the person you were before you served. The key to moving on is recognizing that reality and embracing it. If you do, you will be a better, stronger person for your military service, able to use what you learned to excel for the rest of your life. If you don’t embrace it, you will constantly be looking backwards to what might have been. As Herbert so plainly notes, the choice of whether you move forward or look backward is yours. 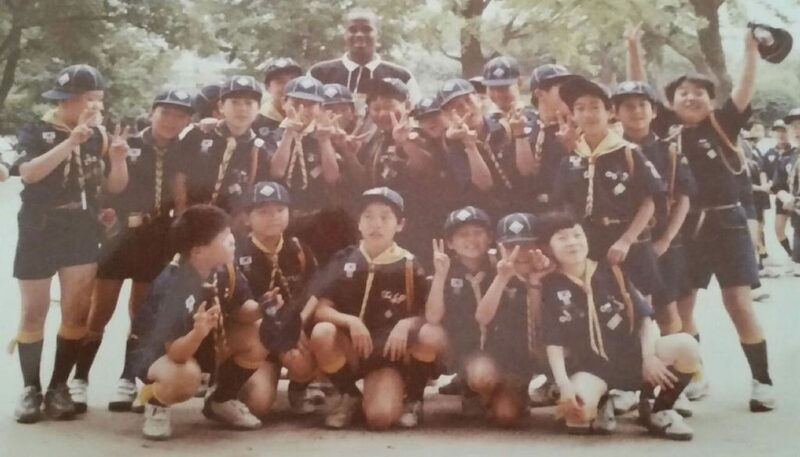 Herbert Burnett with Cub Scouts at Kyungbok Palace in Seoul, South Korea.